Charlotte J. Fiell studied at the British Institute, Florence and at Camberwell School of Arts & Crafts, London, where she received a BA (Hons) in the History of Drawing and Printmaking with Material Science. She later trained with Sotheby's Educational Studies, also in London. Peter M. Fiell trained with Sotheby's Educational Studies in London and later received an MA in Design Studies from Central St Martin's College of Art & Design, London. Together, the Fiells run a design consultancy in London specializing in the sale, acquisition, study and promotion of design artifacts. They have lectured widely, curated a number of exhibitions and written numerous articles and books on design and designers, including TASCHEN's Charles Rennie Mackintosh, William Morris, 1000 Chairs, Design of the 20th Century, and Industrial Design A-Z. They also edited the six-volume Decorative Arts series published by TASCHEN. 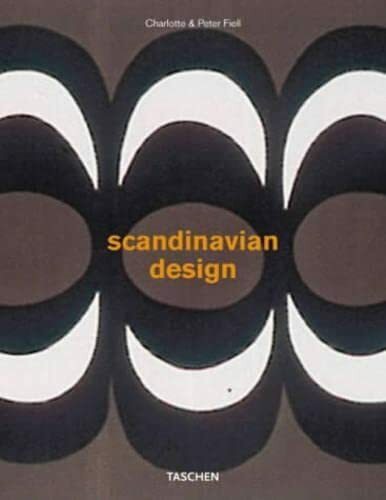 Scandinavians are exceptionally gifted in design. They are world-famous for their inimitable, democratic designs which bridge the gap between crafts and industrial production. The marriage of beautiful, organic forms with everyday functionality is one of the primary strengths of Scandinavian design and one of the reasons why Scandinavian creations are so cherished and sought after. This all-you-need guide includes a detailed look at Scandinavian furniture, glass, ceramics, textiles, jewelry, metalware and industrial design from 1900 to the present day, with in-depth entries on over 200 designers and design-led companies, plus essays on the similarities and differences in approach between Norway, Sweden, Finland, Iceland, and Denmark. Also included is a list of important design-related places to visit for readers planning to travel to Scandinavia.